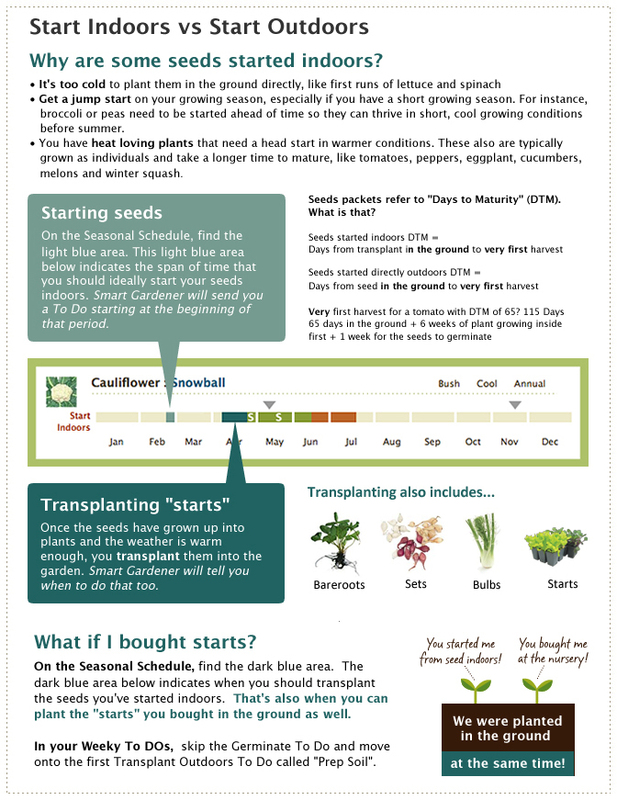 Want to start growing your own vegetables but don't know where to begin? 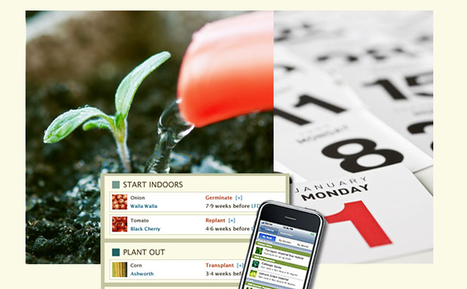 Streamline the process with Smart Gardener. Simply enter the size and shape of your garden, choose the vegetables you want to grow (by browsing, filtering and getting recommendations), and Smart Gardener will plot out your garden for you. 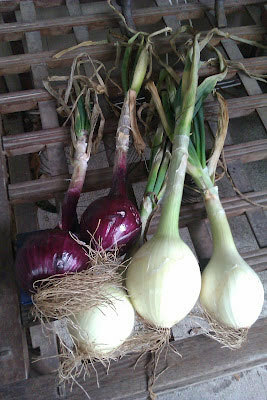 You can even sign up for weekly emails to be reminded when it's time to prep, plant, care and harvest your vegetables. As always I try out a new way to plan my vegetable garden every year. I’ve tried square foot gardening. I’ve gardened according to the moon. 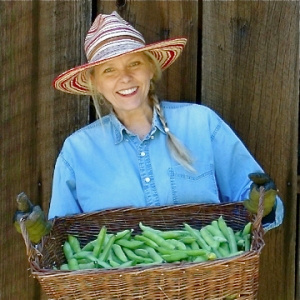 I followed Vegetable Gardening Week-by-Week. I’ve used the Farmer’s almanac. This year I’m using a new program called Smart Gardener. This program is put together by Peaceful Valley Farm & Garden, Baker Creek Heirloom Seeds, Renee’s Garden and Southern Exposure Seed Exchange and Storey Publishing. I discovered the program at some point last year and experimented with it a bit for my Fall/Winter garden. I was quite excited to start using it for this season. I’ve always wanted an automated system to tell me when to do projects in my garden. Smart Gardener delivers! Here’s how it works… I should mention the program is FREE! Attention, first-time gardeners who wouldn’t know what to do with a shovel and packet of seeds if they fell at their feet. The answer to your gardening woes is just a mouse-click away. Simply visit Smartgardener.com, create an account and the website will help you create your dream garden based on a number of personal settings, including geo-location and household size. The site also features a database of more than 500 plants and the ability to purchase organic seeds online. Personalized Products Please But Can They Create Profit? "Very few large, established consumer-goods companies have managed the challenge of turning their mass-customization pilots into really profitable business units," Frank Piller, co-director of the Smart Customization Group at the Massachusetts Institute of Technology, told Ad Age. The reason for the failure is not "technology or wrong marketing campaigns, but strong internal inertia to change," Mr. Piller said. "It is a very different value chain and interaction with your consumers when you mass customize compared to a forecast-driven model via traditional big-box retail," he said, adding that at many companies it was "especially the sales team that "hated' the mass-customization idea, as it was contrary to their established sales model." Digitally based businesses are fertile customization ground. 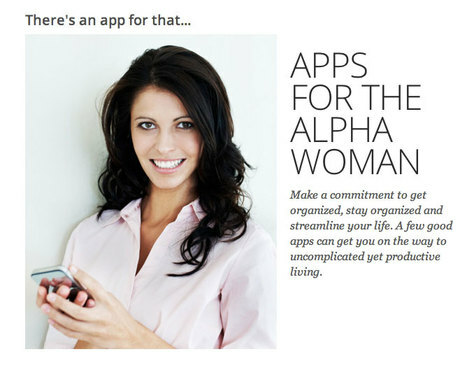 There have been some custom-designed, life-inspired video games, and many utilitarian apps. Smart Gardener is a free web app that lets users drag and drop to lay out their green space, find appropriate plants and ping them when its time to prune or water. Dealing with data collected by sensors is very much the concern of Kristee Rosendahl in Healdsburg. She’s a former Silicon Valley designer who developed a software system that modularizes food production. 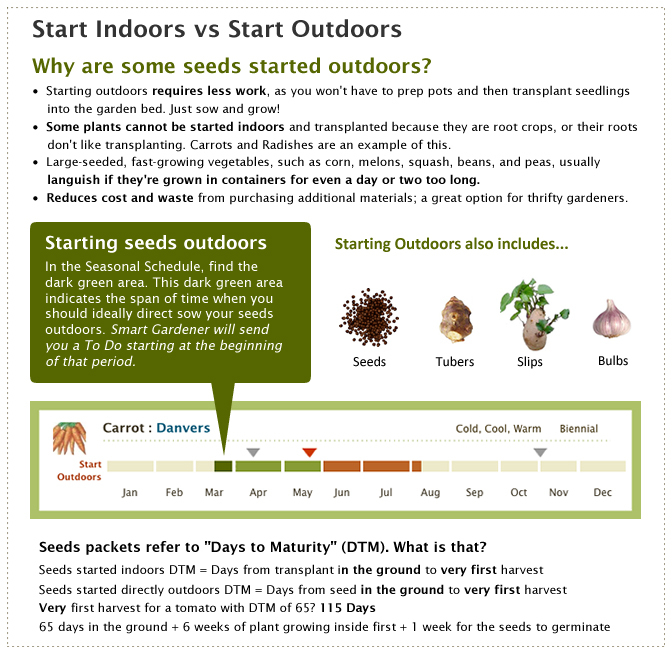 SmartGardener.com puts together a personalized growing guide for its subscribers using historical weather data, but Ms. Rosendahl is more interested in gathering current data through sensors and weather stations. “You have smart water heaters, smart phones, smart lighting systems inside the home, and sensors for agricultural use, and now the technology is making its way into the vegetable garden,” she said. With all the news about steroids in milk, pink slime beef, the benefits of eating organic, and the horrible things that happen on farms and in slaughter houses, we are making a conscious effort to make better choices on what we eat. We recently started a small garden with the help of Smart Gardener! This website is FREE and super simple to use. Even if you don't have a green thumb, you can do this. Smart Gardener does all the hard work for you by telling you your growing seasons and how much you should plant based on your family size! Have you noticed how more and more people around the world resort to gardening and producing their own fruits and vegetables. This trend gives me hope that we are, after all, on the road to reconnecting with the basics of sustainable living. But how easy is it to set up your own garden? What if you want to have one but are totally unexperienced? Or what if you want to renovate your garden? It’s been so warm lately that I want to start my seeds early this year. And I know many of my friends are thinking the same thing. Maybe I’ll use toilet paper roll planters or some plastic veggie containers to start the seeds. But I know I am going to need help this year because well, I did ‘ok’ last summer with a BIG help from my mother. OK, it was more like “SHE” did well last summer with “NO” help from me. I am determined to make my own food, without my mom’s help. So I was so thrilled to find an awesome online tool called, Smart Gardener. I even love the name. It’s not “Gardening for Dummies” which would make me feel ‘this’ small. But “Smart Gardener” sounds so encouraging. It’s not mocking me or berating me for being a ‘dummie’. The site is going to be my savior, my teacher, and my “Wikipedia” of gardening! With all the ambiquity surrounding food these days, it seems most of the food we eat is manufactured not grown, leading us to question - where does our food really come from? In most cases, there is one conlcusion: to truly have complete control on what we eat- we need to grow our own food. Now growing your own food is not all that easy. Or is it? 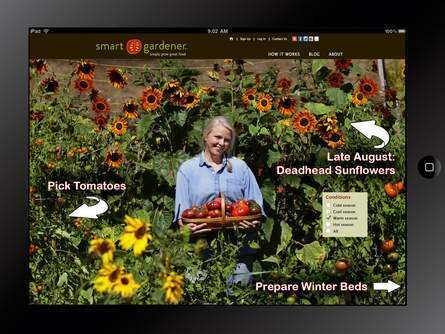 Enter Smart Gardener: It is a unique tool positioned to give consumers exactly what they need to easily grow their own healthy, organic vegetables. Kristee Rosendahl lives about 26 miles — as the crow flies — from the nearest city. The tiny city of Healdsburg, that is. Think about tooling 13 miles beyond Lake Sonoma, along one of the county's more remote coastal routes, then shooting off several miles from that along an even less traveled back road, which will take you to a hidden driveway that will lead you up a dusty path to a gate you must get out and open yourself. Beyond it is what remains of a once massive sheep ranch that in the 1920s stretched all the way to the coast. Here, on the porch of the old bungalow farmhouse sits Rosendahl sits, her blond hair pulled back in the summer heat, bent over an Apple MacBook. She is gardening. For the longtime design techie, dot-commer, mosaic artist and vegetable gardener, the laptop is her most versatile garden tool. And now this former Apple designer and product developer (she specialized in user interface), is out to show how other home food growers — both veterans and newbies — can tap into technology to save time, avoid mistakes and have healthier, more productive gardens. 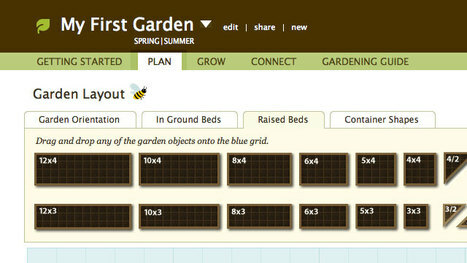 Four months ago she launched SmartGardener.com, a high-tech tool for garden planning. Think Farmville, but for real. 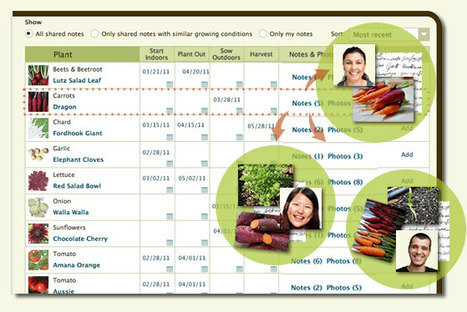 Drawing on databases, expert information and vetted sources, the site helps subscribers design their own garden layout, figure out what and how much to grow, set up a care and maintenance schedule and even shop for seeds through sponsors like Peaceful Valley Farm Supply and Baker Creek Heirloom Seeds. 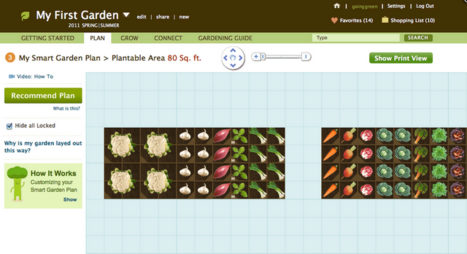 Smart Gardener is a free Web app that makes planning a garden really easy. The app lets you drag and drop garden beds to layout your garden and helps you find plants perfect for your location, then it generates an intelligent plan and even sends timely gardening reminders. 1984: Founder Kristee Rosendahl joins a wee company called Apple, pads her portfolio with smart designs and products for the people. 2004: Rosendahl heads north to Healdsburg to put down roots — literally. Scours volumes in search of sustainable gardening advice; little time actually spent in the garden. 2011: From frustration came inspiration. 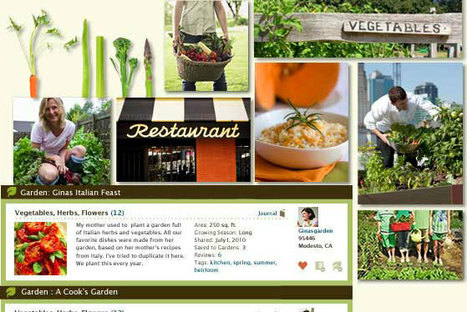 Smart Gardener is sown online, sprouting forth tips, recipes, and more. Present day: Rosendahl’s website takes the guesswork out of gardening, which leads to horticultural success. A genius algorithm takes visitors’ info and creates customized plans (specialized to space, location, climate, household, and desired plants). 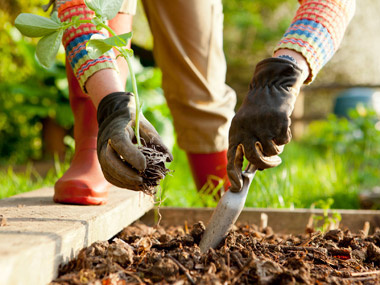 Smart Gardener emails weekly To-Do’s for a near fail-proof set of priorities. Future: Users go easily from soil to supper. Smart Gardener blossoms. 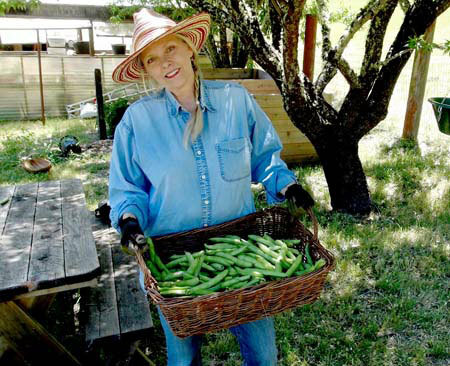 These are the favas used in this week's Dish, and the beautiful lady holding them is our great friend Kristee Rosendahl, who along with her partner Matt owns Big Dream Ranch, 300 fertile acres beyond Lake Sonoma. As some of you may remember, Kristee was instrumental in helping create the complicated tech aspects of Fork & Shovel … using a breadth of skills she's now applied to what we think is the most beautiful gardening site on the Web. 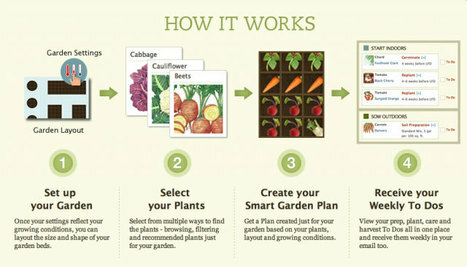 Smart Gardener comprehensively enables you to personalize a garden plan with multiple applications that lets you choose what to plant, and how to manage, harvest, and even shop for and share your organic vegetable garden. Partnering with seed companies like Peaceful Valley Farm Supply and Baker Creek Heirloom Seeds ~ the site already has over 700 organic, GMO-free heirloom and exotic seeds ~ it will be expanded soon to include a number of wonderful community networking uses, Signature Gardens (Barndiva's will be one), books, articles, recipes ~ really there is nothing around farm to table Kristee promises this site won't eventually do. We hope you'll take this opportunity to become one of its first members (free to join!) and grow with it as your (possibly first) garden grows around you. We are so proud of Kristee and what she's accomplished. Check out Smart Gardener and pass this link on to anyone you know who cares about what they eat and wants to expand their definition of local to include … their own backyard.